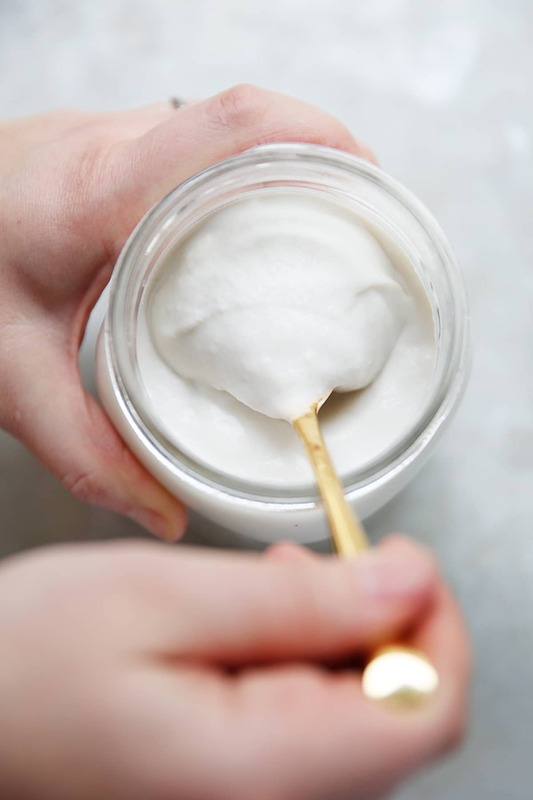 For many things it’s easier to buy product at the store instead of making at home, but sometimes the resulting homemade product is SO GOOD that it’s worth the effort which is why we’re talking all about How to Make Coconut Milk Yogurt in the Instant Pot! Made in partnership with our friends at Vital Proteins! Sometimes we are so excited about a recipe that we absolutely cannot wait to share, and How to Make Coconut Milk Yogurt in the Instant Pot is definitely one of them. There is no hiding the fact that there are a few steps needed to complete this recipe, because after all it is making yogurt at home. But trust us when we say the resulting Coconut Milk Yogurt is so worth the effort. It’s so incredibly delicious and creamy, it’s super filling and only contains a very minimal amount of maple syrup. It’s worlds-away-different from anything you’ll buy at the store and you control the amount of sugar that goes in it! It’s dairy-free and even compatible with low-carb diets. 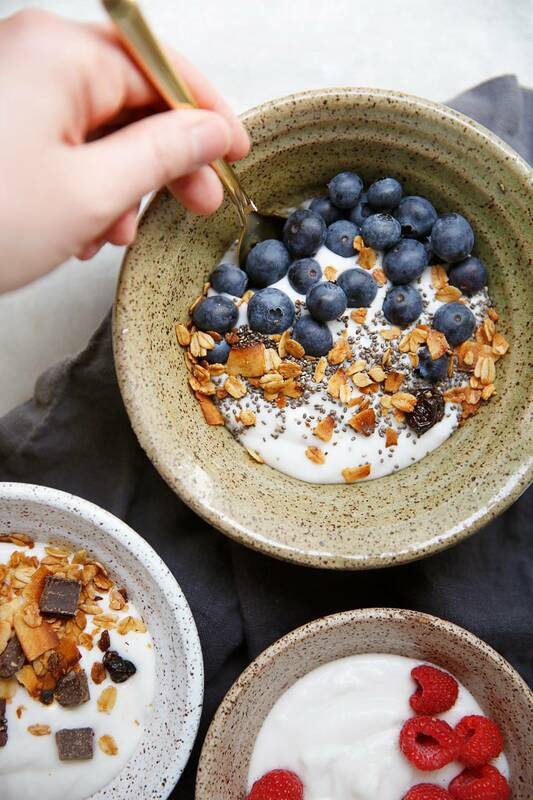 We are so in love with this dairy-free yogurt and are so excited for you to get your hands on this recipe! 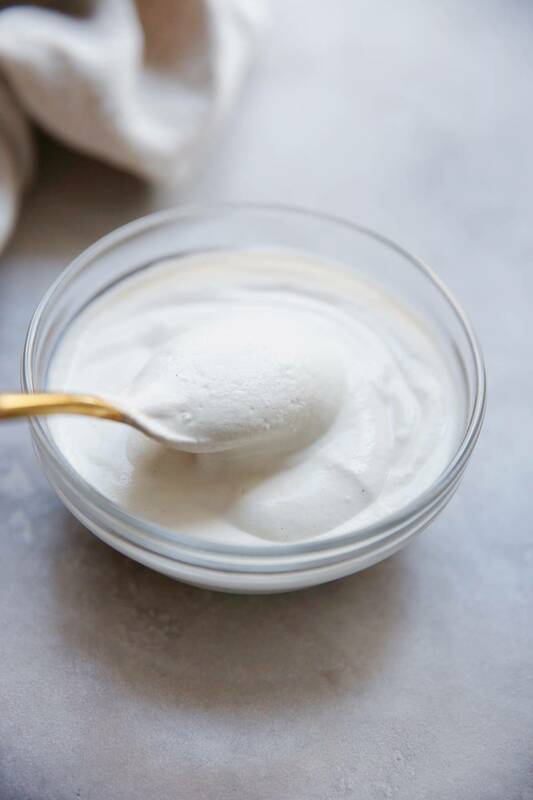 We also love that homemade yogurt has way more probiotics than most anything you can buy at the store, because you can control how long you ferment the yogurt. The longer you ferment the more probiotic bacteria you have! We also can attest that making yogurt is so much cheaper than it is to buy at the store. Prefer to make dairy yogurt? Check out this post. Why coconut milk yogurt and why in the Instant Pot? Buying a dairy-free yogurt in the stores usually means choosing one that is heavy on the sugar or is flavored and sometimes we’d just like a plain dairy-free, lower-carb yogurt that isn’t going to feel like we’ve eaten a candy bar. 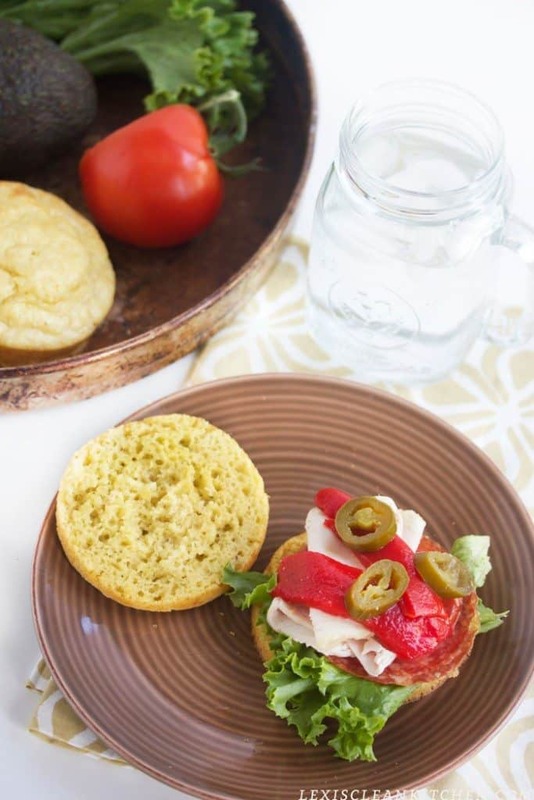 We loved the idea of doing it in the Instant Pot because it means we don’t need to buy a separate gadget to incubate the yogurt (and we know there are ways to do it without any gadget, but we’d prefer the controlled temperature). 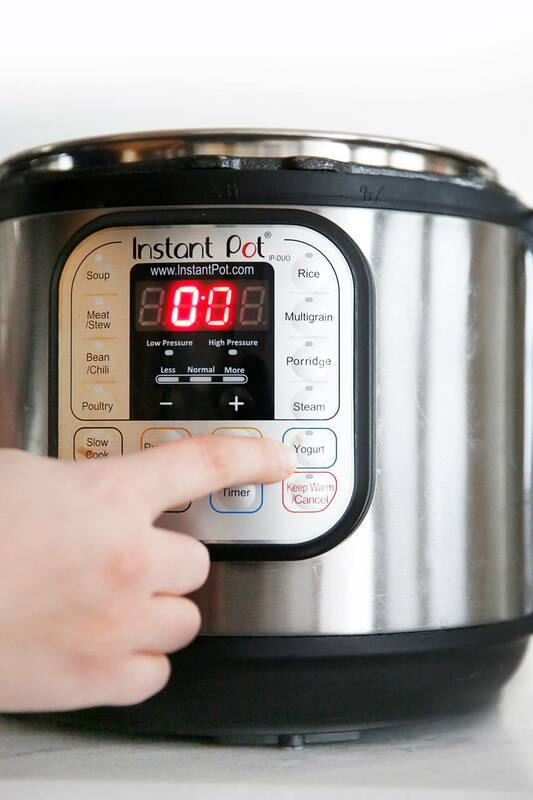 Of course, we are talking about an Instant Pot that has a yogurt function button. However if you do have a dedicated yogurt maker, you can certainly use it with this recipe as we opt to heat the milk on the stove because we didn’t like that heating it in the Instant Pot left the milk stuck to inner pot and in turn left the resulting yogurt chunky. 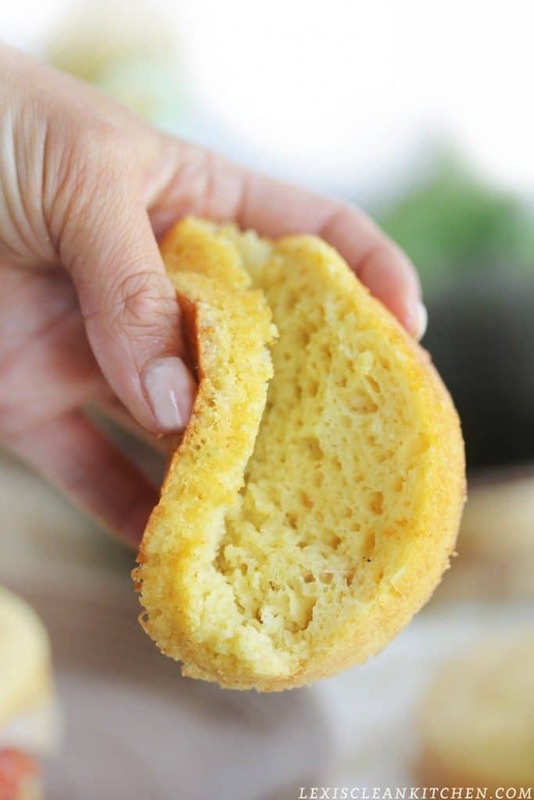 If you prefer to skip this and just do the whole thing in the Instant Pot you can! All you need to do is hit the yogurt button until it says boil, and then let the Instant Pot do the rest. You follow the remainder of the steps after that. What does it actually mean to make yogurt or ferment food? In a nutshell, when you are making yogurt you are introducing bacteria cultures to milk and creating a warm and comfortably environment for them to grow for a specified period of time, or ferment. The culture is either a purchased yogurt culture or probiotic capsule that is combined with the milk to inoculate the batch with bacteria. You can also make yogurt with a previously inoculated batch of yogurt. The introduced bacteria feed off of the sugar in the milk (see below for difference with coconut milk) and will thrive and multiply in an environment around 110 degrees or so, and the Instant Pot Yogurt setting keeps the milk at that temperature consistently. If you’ve never made yogurt or fermented food before this can seem a little daunting. But once you get the hang of it making it will seem easy and can be done every week for an unending supply of yogurt! How is coconut milk yogurt different than dairy yogurt? There are a few tricks needed to make yogurt out of coconut milk that don’t apply when you are making dairy milk. 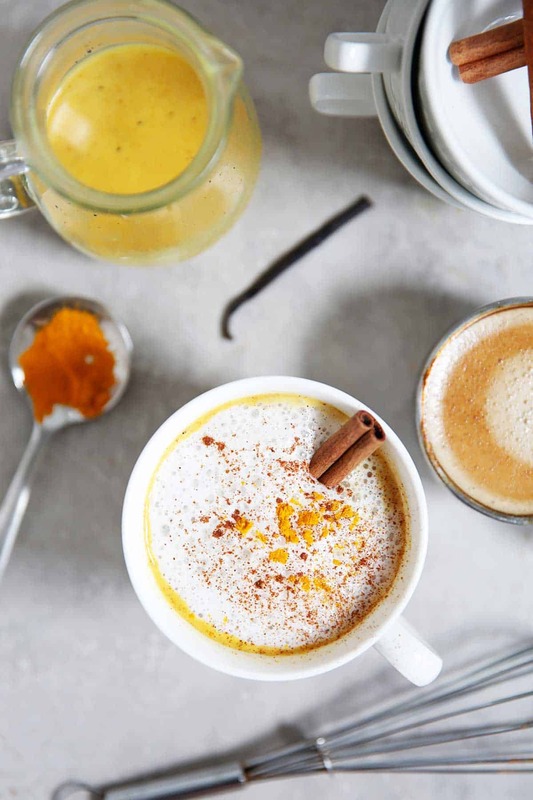 Namely that coconut milk does not have a lot of natural sugar in it so it needs the addition of maple syrup to feed the bacteria and that it does not thicken the same as dairy once it’s fermented so we use gelatin to create the consistency we want. 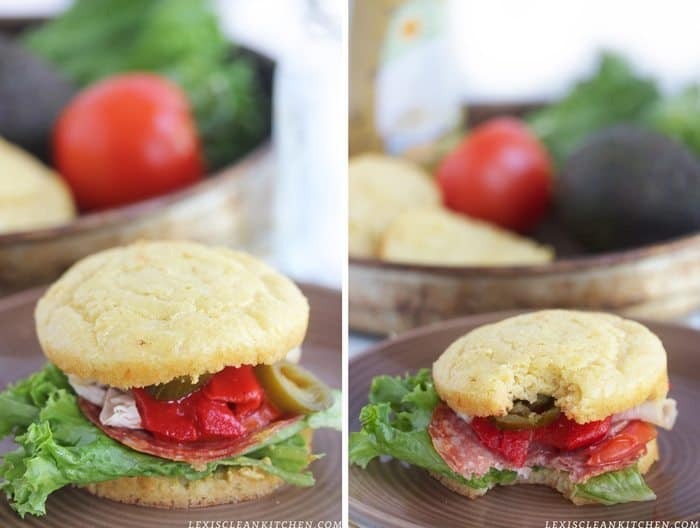 Read through the entire post and follow all of the recipe instructions. This is the type of recipe where the directions sound so specific and it’s all for a reason! If you are making this for the first time purchase a starter culture. After you’ve made the yogurt for a few times and have a feel for it you can start saving a tablespoon of yogurt to make new batches, but wait to do that until you’ve got the hang of making yogurt. Clean all your utensils and cookware and anything else you are going to use with hot soapy water, or place in the dishwasher. Generally speaking whenever you are fermenting food you want to make sure your cookware and utensils are sanitary so you don’t encourage the growth of bad bacteria. We also remove the inner seal from the Instant Pot lid because it has a tendency to hold on to odors, and they will definitely transfer to the yogurt. 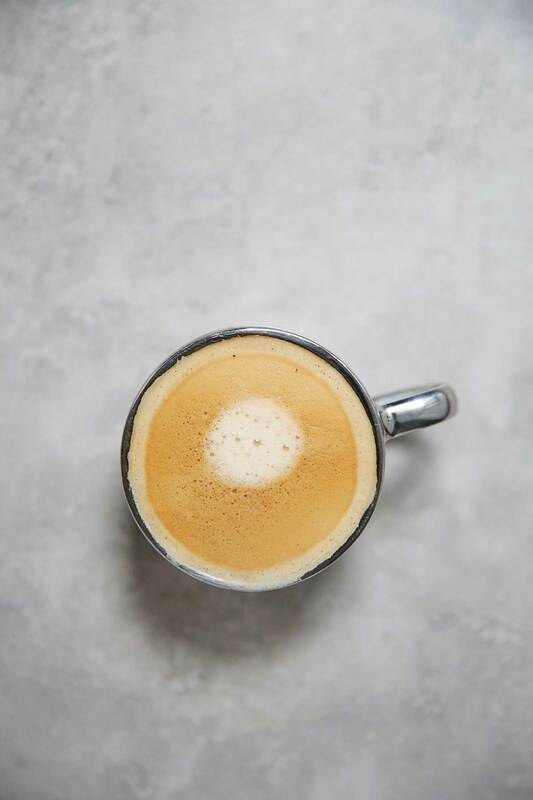 Use an instant read thermometer (we love our Thermapen: it’s an investment but one that will last forever) to make sure you have the correct temperature when heating up the milk and cooling it down so you don’t accidentally kill the starter culture by placing it in liquid too hot. If you don’t have an instant read thermometer make sure the milk is warm, but not hot by pickup up a couple of drops and putting them on your inner wrist. If it feels very warm it’s likely too warm for the bacteria. Don’t skip out on the maple syrup. It is needed to feed the probiotic bacteria, without it your yogurt will never become yogurt but will instead be just a spoiled batch of coconut milk. The longer you ferment the yogurt the tangier it will be. But you CAN ferment it too long. Check the package of your yogurt starter to see what it recommends. We found a sweet spot between 12-16 hours, but if your package says something different start out with that time and see how your yogurt tastes. If it isn’t very tangy try fermenting it for longer than next time you make a batch to get the yogurt you think tastes best. 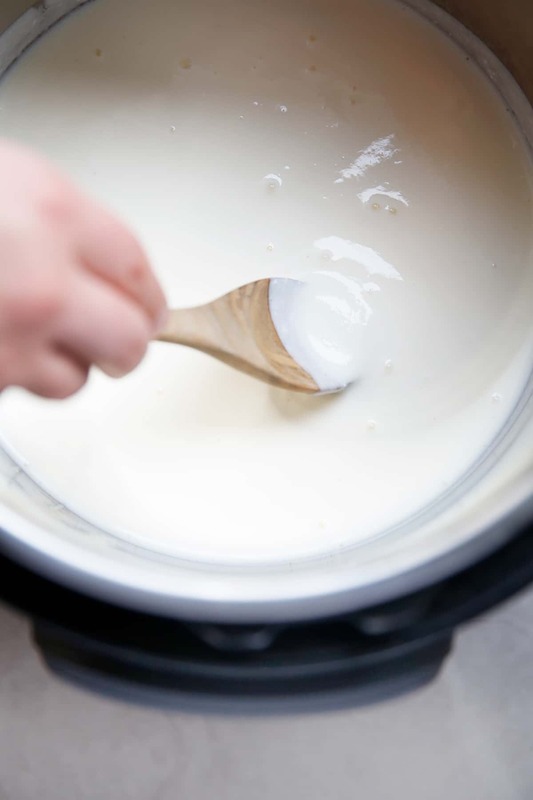 Whisk the finished coconut yogurt while it’s still warm until it is fully emulsified. It will not be very thick when it is warm though because the gelatin needs to set up. The biggest difference between making yogurt with coconut milk and dairy milk is that it doesn’t quite thicken the same way dairy does. Because of this coconut milk yogurt needs a thickener and we love using gelatin for this. To be sure, even though this yogurt is dairy-free, it is not vegan because it uses beef gelatin. 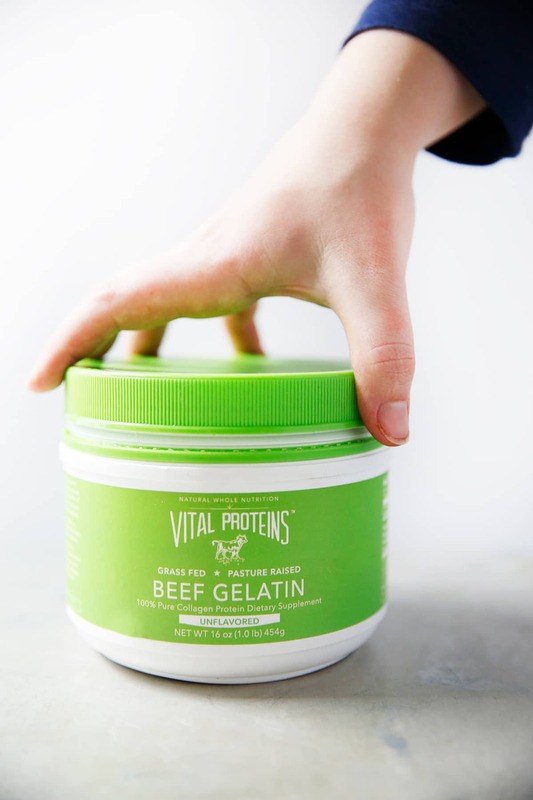 We use our favorite Pasture-Raised Beef Gelatin from Vital Proteins in our yogurt and love that it gives it an added boost of nutrition thanks to the collagen. Vital Proteins is known for their Collagen Peptides, which is great to use in everyday drinks like your morning coffee or food, but we love being able to use their good quality gelatin here in this yogurt. Adding collagen to your diet can be a great way to improve and promote bone and joint health, aid in healthy digestion and gut health, improve sleep and nourish your skin. We love adding it to overnight oats, smoothies, and more. 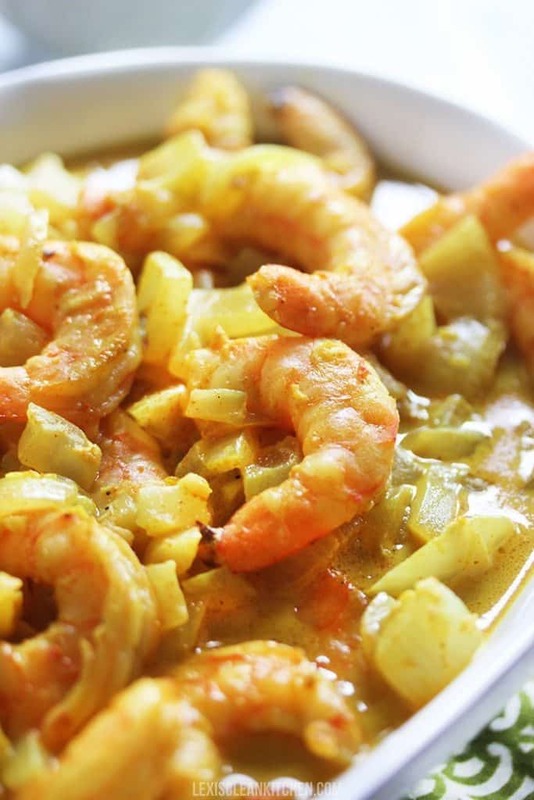 For this recipe, make sure you’re grabbing the green container. While gelatin does have collagen, it isn’t the same as the Collagen Peptides (blue container) as it has special attributes that transform liquid and is perfect for jello, marshmallows, homemade candies/gummies, and of course thickening up this amazing yogurt! Probiotic Yogurt Starter: We have used this one, this one, and this one. 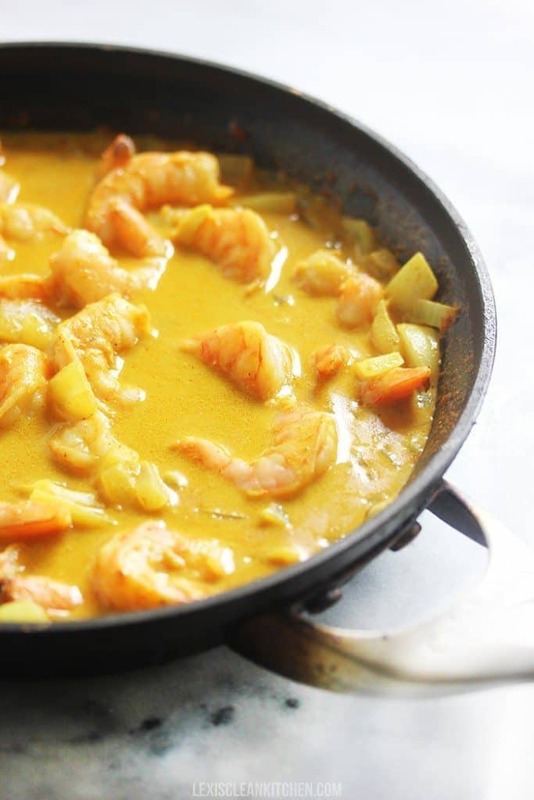 Place coconut milk and cream in clean medium pot, reserving ¼ cup of the coconut milk in a small bowl. Heat coconut milk over medium heat until it has started to steam and bubble around the edges, to 180ºF (we like to use our Thermapen for this). Meanwhile add Vital Proteins Beef Gelatin to the small bowl with coconut milk and stir to combine and let it soften. Once coconut milk has reached 180ºF, take a few tablespoons of hot milk from pot and whisk into the bowl of softened gelatin until it is completely dissolved. Add the dissolved gelatin mixture to the pot of coconut milk and whisk together. Place the hot coconut milk in the Instant Pot inner liner, and let cool until it reaches 105ºF - 110ºF, about 40 minutes. Press the Yogurt function on the Instant Pot until it displays a timer. Set for 8-16 hours, depending on how tangy you want your yogurt and close the lid (see note). Close the lid (without the inner seal). It does not matter whether you press sealing or venting. Once finished fermenting, whisk the coconut yogurt until it is fully emulsified. It will not be very thick right now because the gelatin needs to set up.Transfer to containers and into the refrigerator to set up at least 4 hours. Yogurt will keep in the refrigerator for 5-7 days. 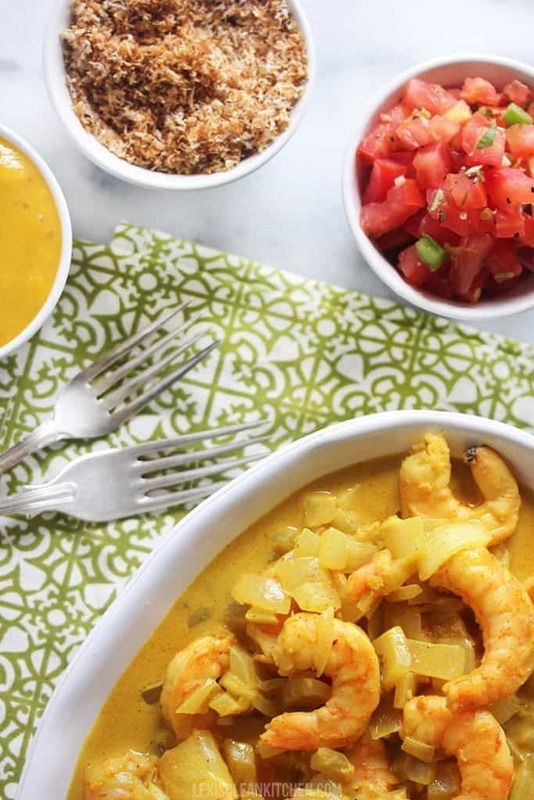 Read the entire article on How to Make Coconut Milk in the Instant Pot. You want to make sure the Instant Pot is clean for two reasons: the first is because you are fermenting food and you want to make sure there is no bad bacteria on your Instant Pot. The best way to do this is to put all of your equipment through the dishwasher right before use, or wash with hot and soap water. The second is because if there is any smell leftover on your lid or inner pot, which is known to happen in an Instant Pot, it will likely transfer to the yogurt. So clean it really well. We are heating up the milk in a pot on the stove because we have found that the milk can get burned when it is heated in the Instant Pot and results in chunky yogurt. If you wish to use the function on the Instant Pot that brings the milk to the proper temperature you can do that. Coconut yogurt does not thicken the same as dairy milk. That is why you need the help of the beef gelatin. If you wish to skip this to keep it vegan the resulting yogurt will be thin and like a smoothie. You want your cooled coconut milk temperature to be accurate before adding your culture because if it’s too hot, it could kill the live culture but if it is too cold it might disturb the fermentation. If you wish to speed up the process of the milk cooling down you can place the pot in a ice bath. Just make sure to watch the temperature as it will cool quickly, around 10-15 minutes depending on how cold the ice bath is. If you cool off the milk in the IP inner pot make sure to dry it off thoroughly before using. There may be a thin skin that has formed on the coconut milk after it has cooled. This is normal, just whisk it together. The longer you ferment the yogurt, the tangier it will be as the bacteria consumes all of the sugar and the more probiotic bacteria will grow. We tried the yogurt at 8 hours, which was not very tangy at all, to 16 hours which was a bit too tangy for us. We preferred the yogurt on the higher end of fermentation around 12 hours. However depending on the type of culture you are using it may give a different length of time, so be sure to check the instructions on how long to ferment the yogurt. The finished yogurt will not be as smooth as dairy yogurt because it hasn’t been homogenized in a factory and there are no additives in it! If it does separate, you can whisk it together or use an immersion blender until it is smoother. If at any point in the process your yogurt starts to smell bad, taste bad, or has any gray or pink liquid something has gone wrong and you will want to throw it out. Yogurt should be pleasantly tangy, but not taste “bad”. We have experienced the yogurt turning bad during one testing phase when we forgot to add the maple syrup and we assume it’s because the bacteria didn’t have any sugar to feed on so they died and the yogurt turned. This post is sponsored by Vital Proteins. All thoughts and opinions are always 100% ours! We love the integrity of their products and think you’ll love them too. Thank you for continuing to support us and the brands we love and work with! 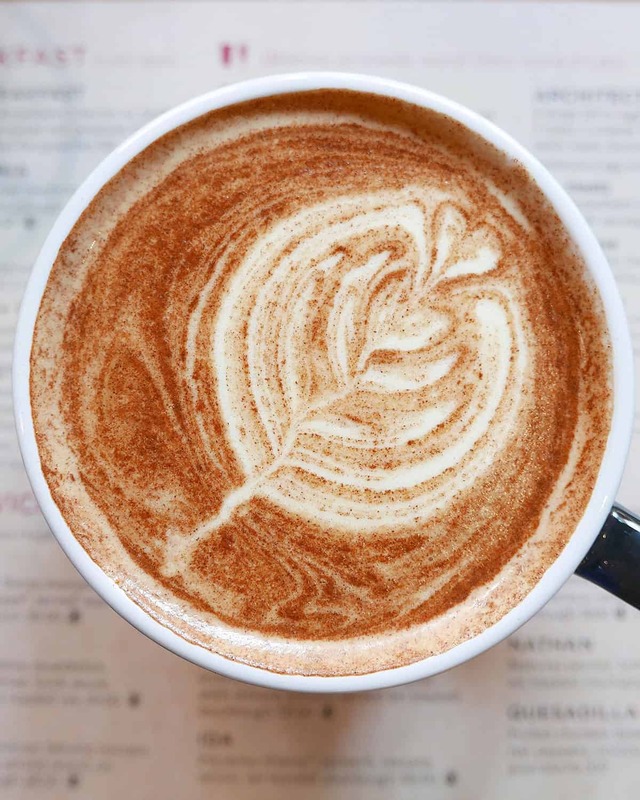 Today we are talking all about our favorite dairy replacement that mimics heavy cream: Cashew Cream! 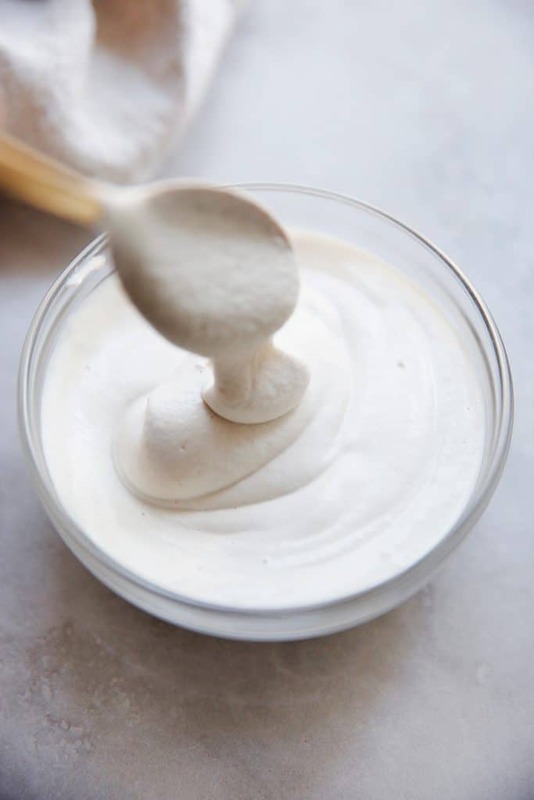 We’re going to talk all about How to Make Cashew Cream because it’s simple to make, has a neutral flavor that compliments most anything it is used with and truly results in making a dish creamy without adding any dairy! 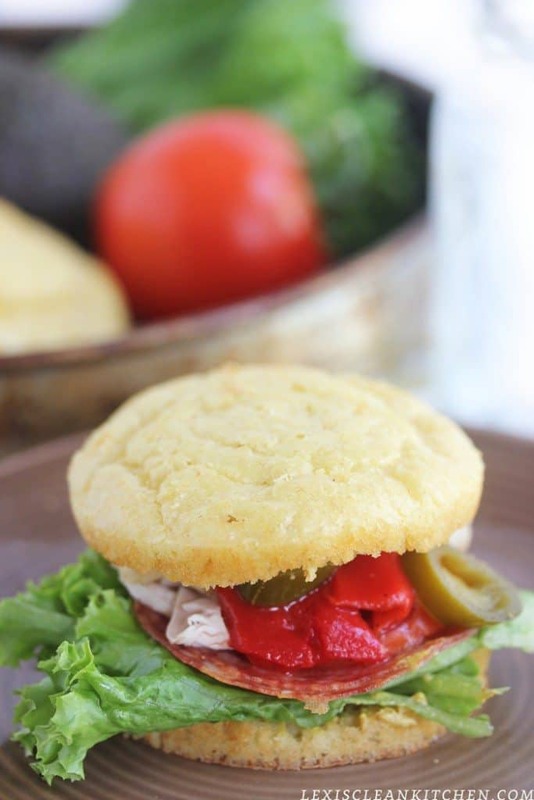 It’s compliant with many diets including Keto, Paleo, Whole30 and we guarantee it’s going to be your new favorite dairy-free swap. It’s a new year and we are launching a new “How-To Wednesday” series. 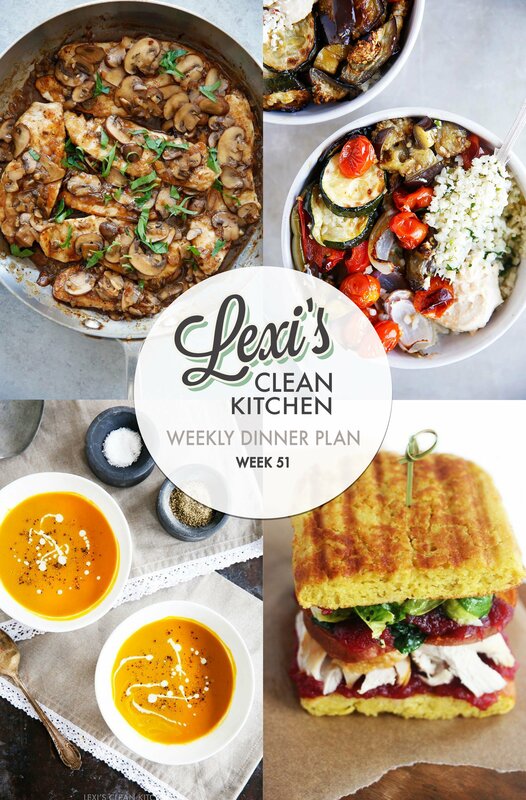 For this series we want to highlight some recipes or tricks that we think will be helpful in maintaining cleaner and healthier eating habits, whether you are a seasoned pro or just starting off your journey. 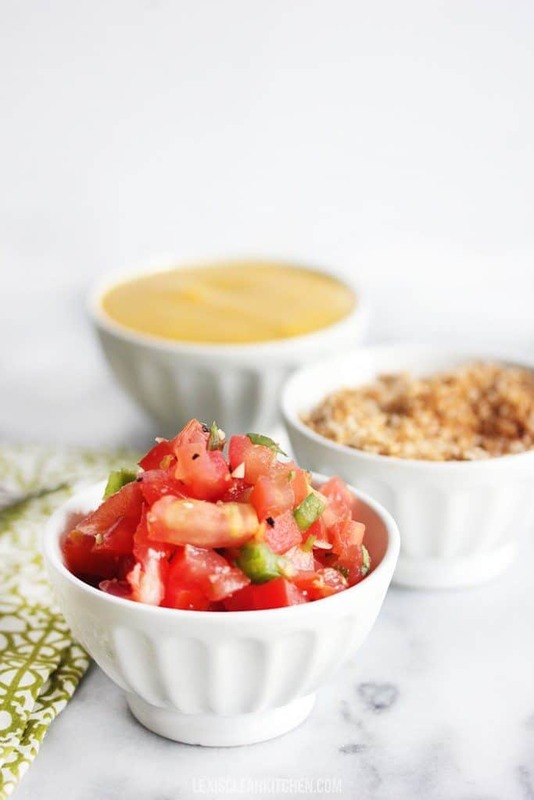 And we are super excited about our first post How to Make Cashew Cream! 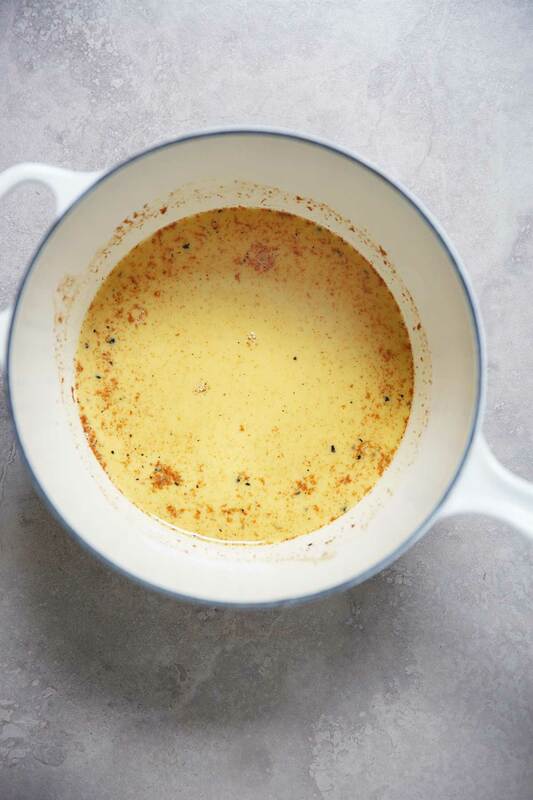 We recently published a dairy free Creamy Tuscan Chicken that uses cashew cream and we got so many questions and excited responses from this recipe that we felt we should dedicate a whole post on How To Make Cashew Cream because we are as equally as excited about it! Cashew cream is simply soaked cashews that are blended until they are smooth and creamy. It’s a great replacement for heavy cream or in some recipes cream cheese. 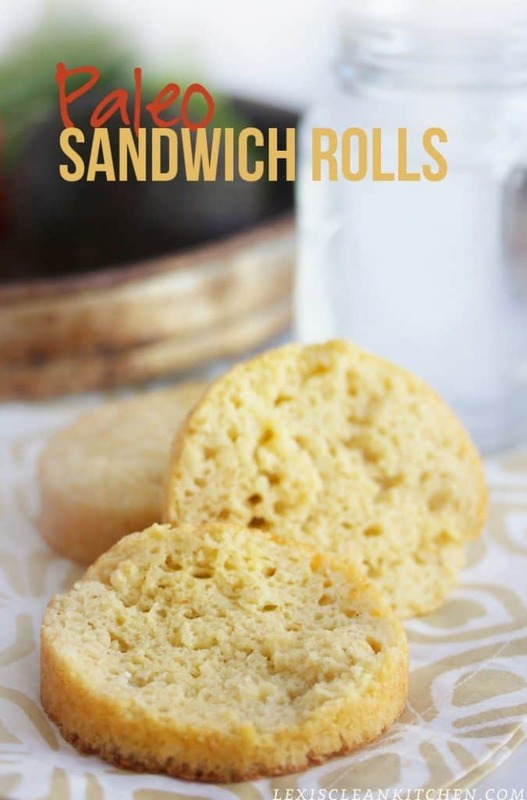 It can be used for both savory or sweet recipes but also it’s just kind of delicious! How do I make cashew cream? Simply soak raw unsalted cashews in water. We have directions for a quick version where you boil the nuts and soak for 1 hour or an easy overnight version. Drain and blend with a bit of water until it’s reached your desired consistency. You may have to scrape down the sides of the blender basin a few times, but it works in both a standard cheap blender or a high-speed blender as well. What can I use cashew cream for? How long will cashew cream last? We stored ours for about a week in the refrigerator. If any liquid forms on the top of the stored cashew cream just go ahead and stir together before using. You can also freeze cashew cream as well for about 3 months. When ready to use thaw in the refrigerator overnight and briefly place back in the blender before using. 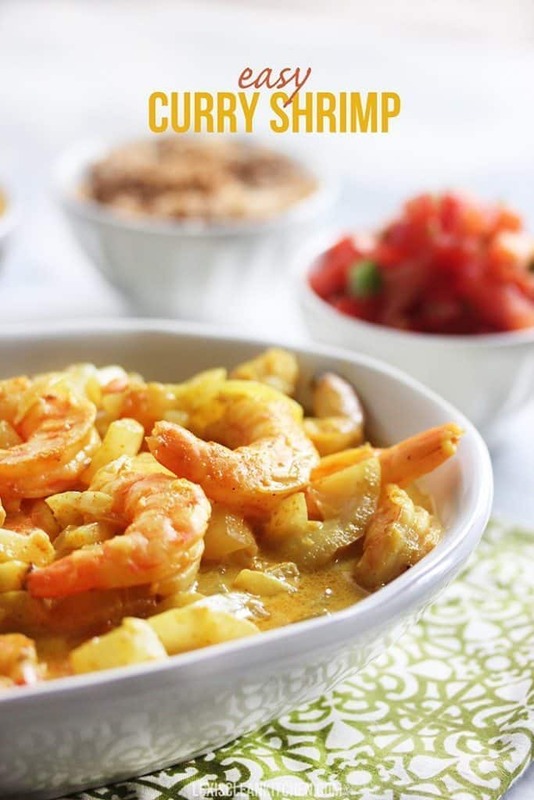 Place cashews in a small pot and add enough water to cover by 1". Bring cashews to a boil, cover and turn off heat. Let sit for 1 hour. There may be a blue-ish film on cashews. Drain water and rinse cashews and place in the basin of a blender with a small pinch of salt. 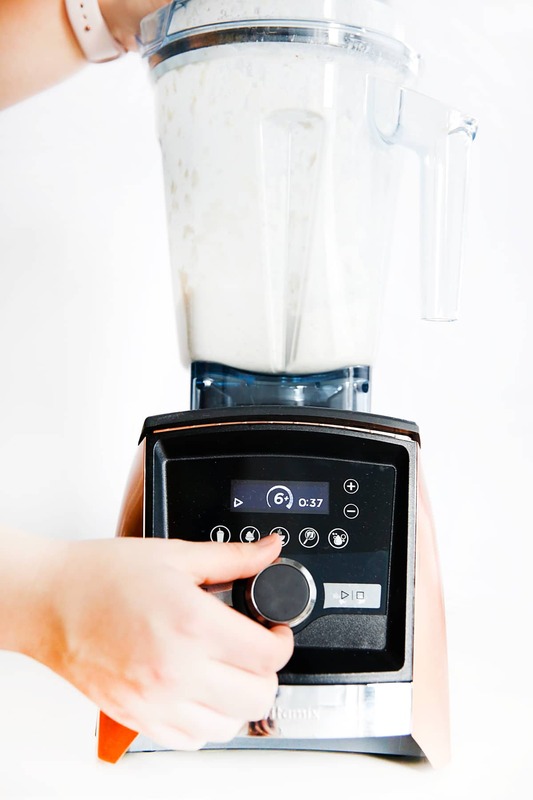 Blend using between ¼ cup water (for a high speed blender) or up to ½ cup water (for a traditional blender). You may need to scrape down the mixture several times. Start with 1/4 cup and increase the amount of water a bit at a time with the goal being to get the cashews to a creamy smooth consistency. Store in a container for about 1 week. 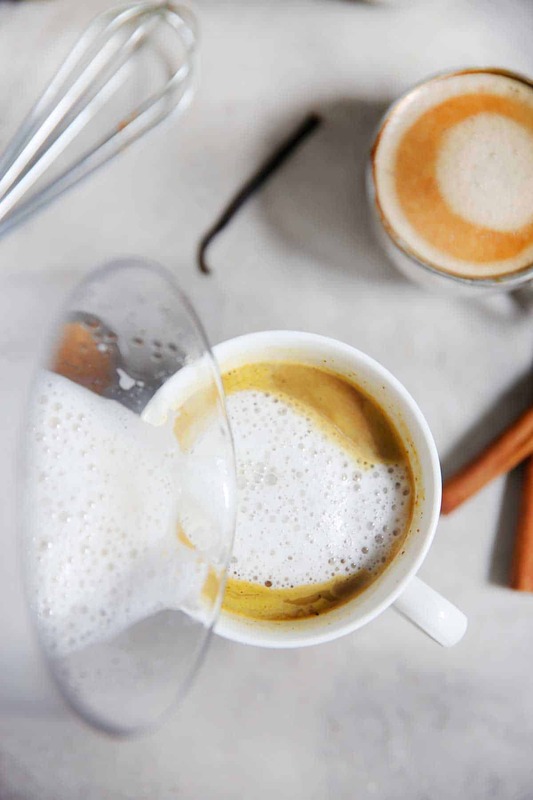 Use in recipe that calls for half and half or cream! 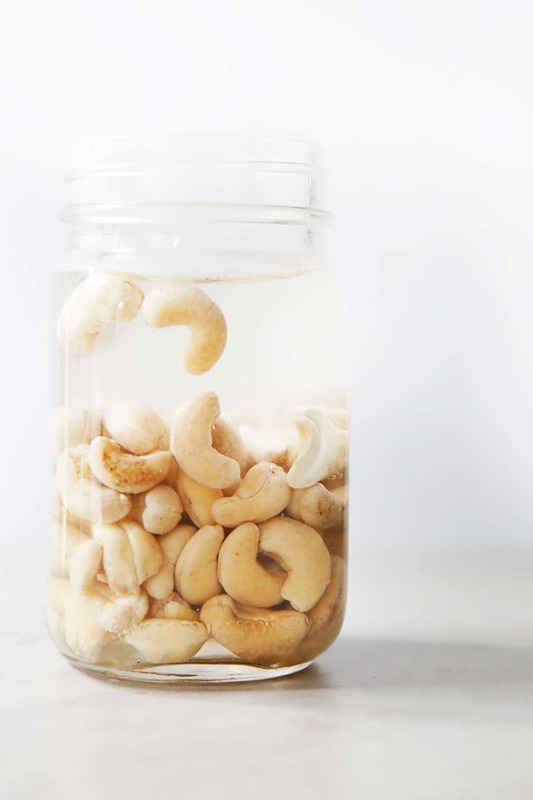 Place cashews in a jar and cover with water by 1". Cover and place in the refrigerator to soak for 8-12 hours. Drain the cashews and place in the basin of a blender with a small pinch of salt. Blend using between ¼ cup water (for a high speed blender) to ½ cup water (for a traditional blender). You may need to scrape down the mixture several times. Start with 1/4 cup and increase the amount of water a bit at a time with the goal being to get the cashews to a creamy smooth consistency. Stir in turmeric, honey, cinnamon, black pepper, and ginger if adding. Heat for about 3 minutes until warm.